Intimate, relaxed, flexible and affordable. Registry office wedding & elopement alternative. Get married, Sunday to Thursday in Canberra, plus have some beautiful photographs to remember the occasion, from only $1,400. Small weddings are all about you. Guest numbers are limited to 30 to draw the focus back on the occasion. We make it simple, just tell us when and where you'd like to get married and we'll be there. Getting married and having some beautiful photographs to remember it by doesn't cost the earth. Sunday to Thursday in Canberra. Up to 30 of your closest friends and relatives. And don't forget the rings! Go out for a nice lunch, or just slip away together! Includes lodgement of paperwork and your certificate of marriage. Fully qualified and experienced celebrant with a fun, relaxed style. Photos during the ceremony, some with your family/friends, plus a mini photoshoot of just the two of you. 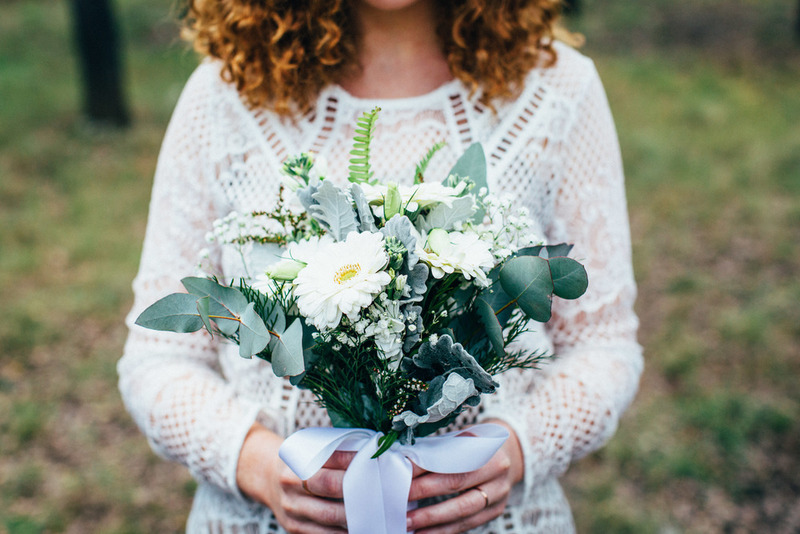 As an optional extra, the exceptionally talented Lisa from Flowers with Love will arrange a simple, seasonal posy, with a matching buttonhole for $150 extra (total = $1,550). Meet Steven your celebrant & Michael your photographer! Steve is the guy in charge of getting you married. He's been in the wedding biz for years so has a wealth of information about the best spots to marry and how all the legal stuff works. His style is simple, modern, fun, and relaxed. Michael's job is to point the camera around and take really pretty pictures for you. He loves what he does, and has a lot of fun doing it. Don't worry about the posing - he likes to keep it natural, and all about you guys enjoying yourselves. Canberra's most recently married couples! Click through to see more pictures from their day. Fill in our form and we'll get back to you to confirm we're available, and get things started! Must allow one month for notice of intended marriage. Sunday to Thursday. Like us? Then connect with us on social! Subscribe to our mailing list! ...There'll be news, inspiration, and special events!